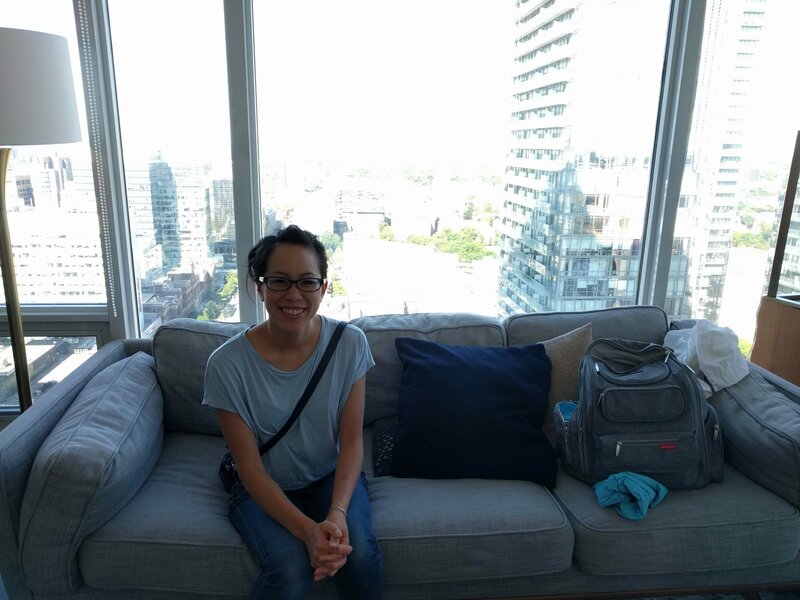 As it turns out, in the five years since we put Toronto on our bucket list, the City has experienced a huge condo building boom. 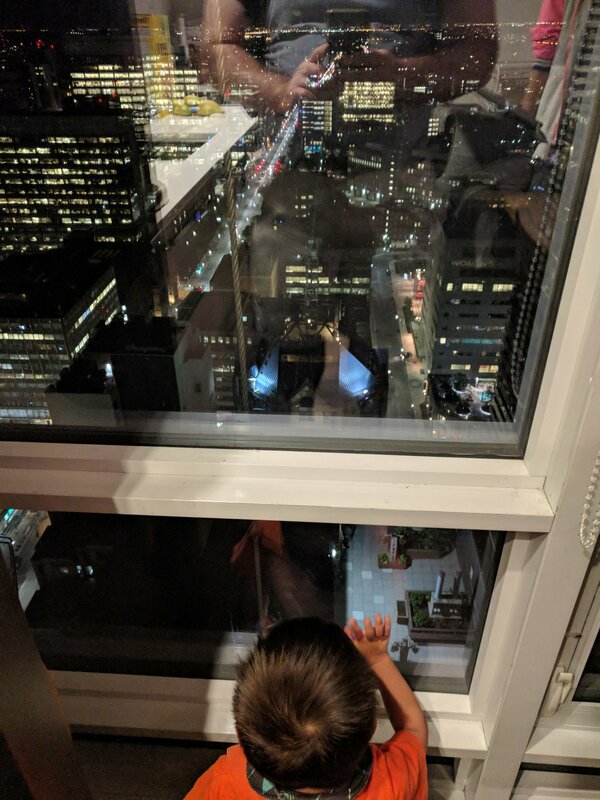 According to this story in the Hollywood Reporter from September 2017, the City of Toronto added 165,000 housing units (mostly in the form of multi-family condos) in just 7 years. Toronto added 16,000 additional units in 2016, and had over 80,000 under construction at the time of publication. 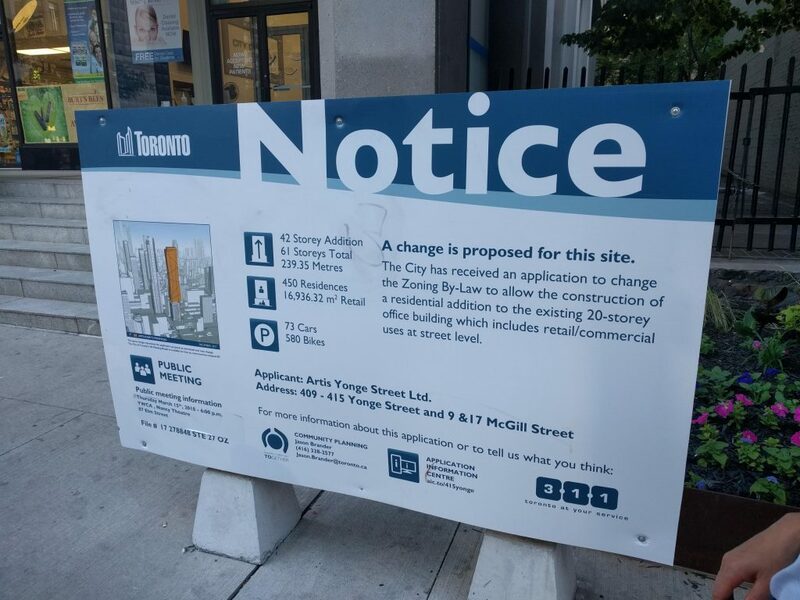 And a Curbed piece that ran one day before we left for Toronto reported there were over 400 projects in the pipeline. We ran into many of them while walking around Tremor and Julia’s neighborhood the next day and studied their schematics with great interest. Finally, the building Tremor and Julia live in is a great example of connecting old with new, as evinced by the integration of this row house facade into a 50-story building. There have been growing pains. 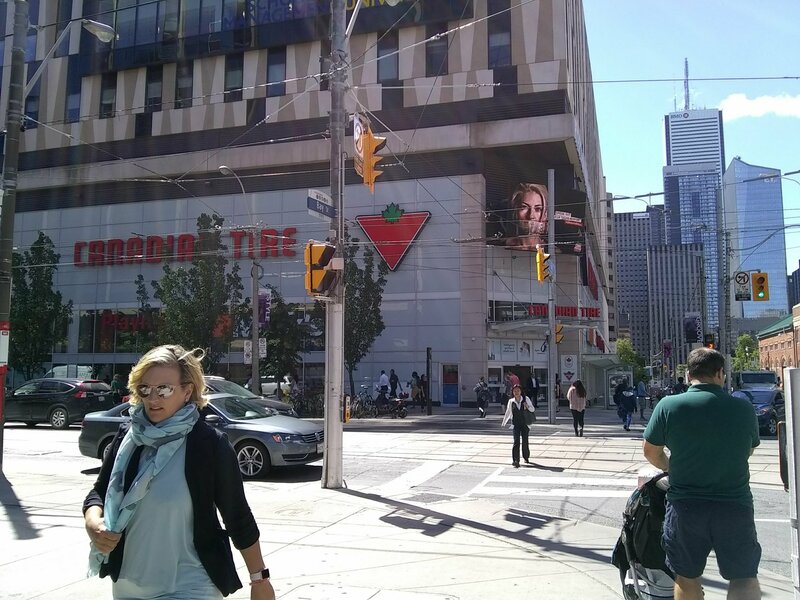 Curbed points out that the bulk of the building zoom has been centered in downtown Toronto and in a handful of transit-oriented neighborhoods. 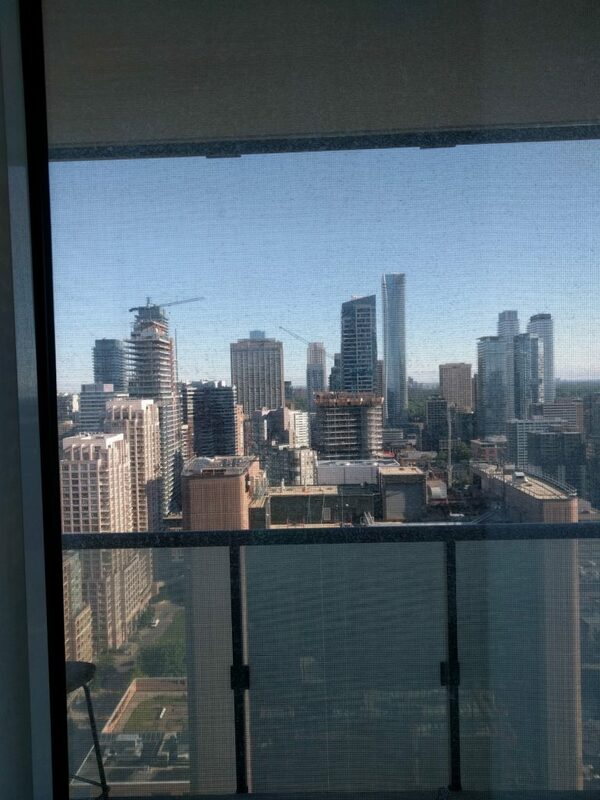 It’s been mostly condos, of which something like 94% are sold in pre-sale – and not rentals. There has also been a lot of speculative investment. Consequently, prices have skyrocketed, especially in the rental market. 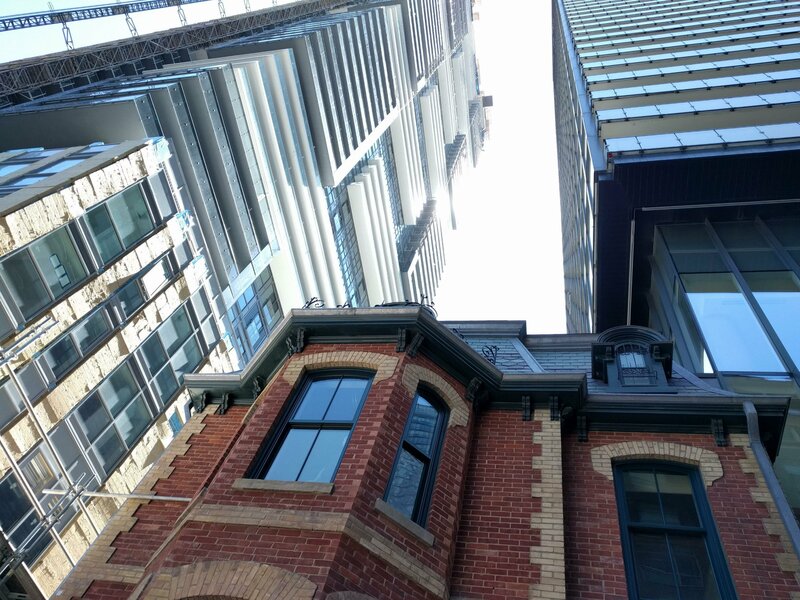 A 3-bedroom condo costs $1 million dollars in this section of Toronto, which is hardly affordable. At least city planners in Toronto are trying (to create family-oriented housing). 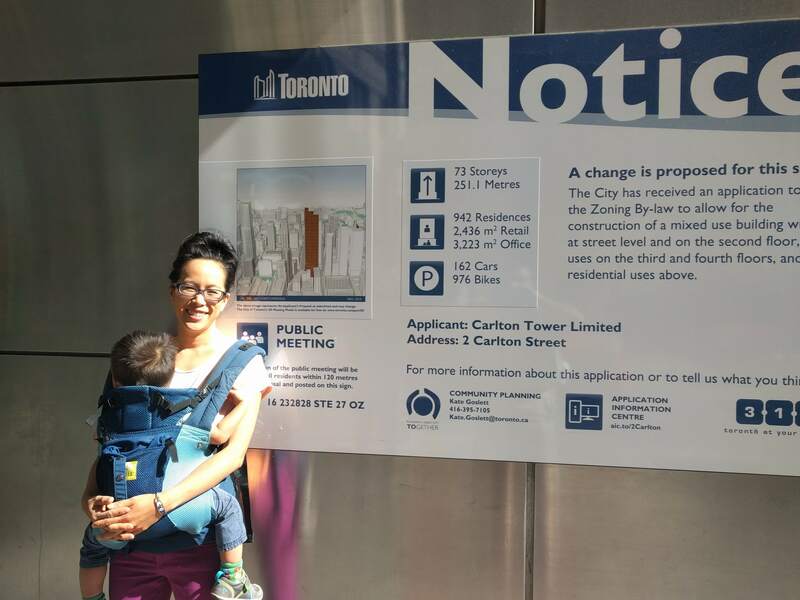 In May, Toronto released draft guidelines giving developers guidance on how to design projects which support families (“Growing Up: Planning for Children in New Vertical Communities”). These guidelines were released following a study that began in 2015. (Note: Vancouver followed suit with its own survey in May 2018). Canadian Tire: Part of what makes Canada so special. You can get auto parts, sporting goods, pet supplies (multiple aisles), furniture, and more (but not apparel). Did you know 90% of Canadians live within a 15-minute drive of one of a Canadian Tire? Excellent food: I especially enjoyed the Chinese-style duck and pork Able to enjoy at a food court. 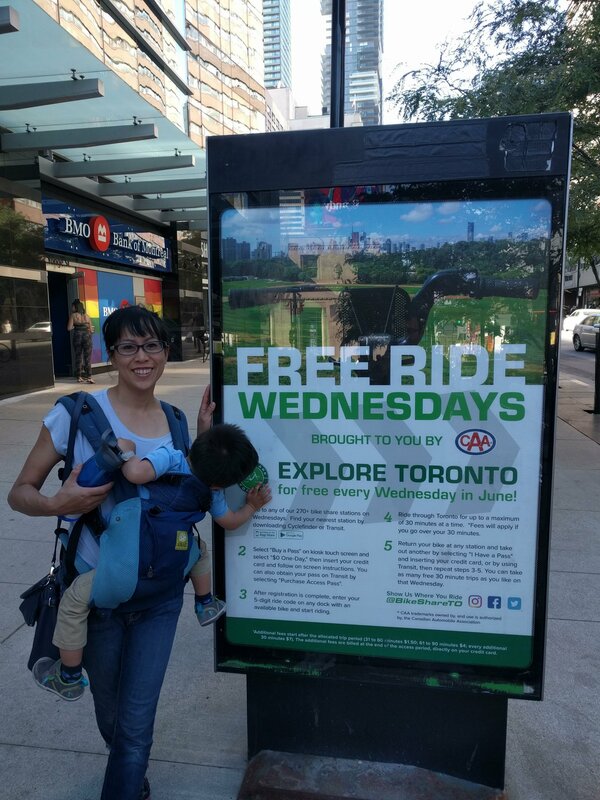 Seeing that the Canadian Automobile Association sponsors free bike trips on Wednesdays. More to come! Next: Our travels through Western and Central New York.